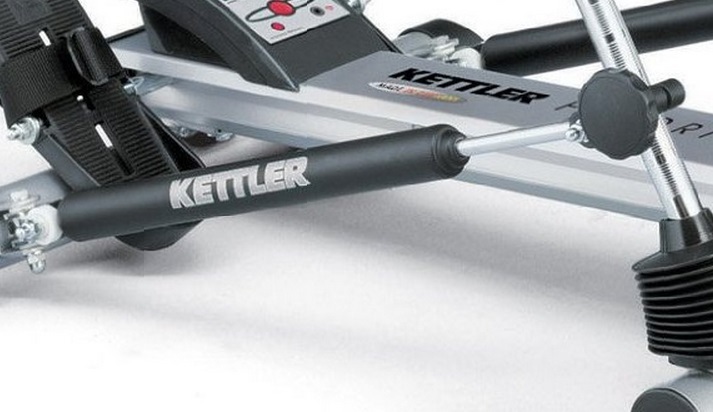 The Kettler Favorit is a budget to mid-range hydraulic rower from a manufacturer with a good reputation and years of experience in the fitness world, especially their indoor bikes and elliptical trainers. The Favorit is a pretty solid machine and in our view will be suitable for those who will use it for short periods only. We say this because, like a number of hydraulic machines we've tried, the resistance suddenly drops once the oil in the cylinders warm-up. This is most inconvenient if in the middle of a vigorous work-out, when suddenly you find rowing becomes too easy. We found it took around 30 minutes for the resistance to come back - long after you've cooled down! Pistons do look dated on rowers these days when compared to magnetic or water/ fluid rowers - but they are relatively inexpensive and offer good value for money.You can read more about resistance mechanisms for rowing machines here. For a small rower this machine felt quite solid and seems well made. The seat is comfortable - if you're not on the large size, otherwise you might find it's a bit small. 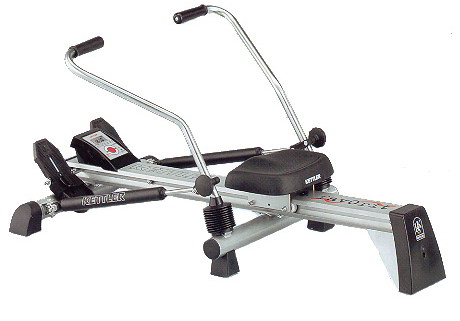 The rowing action is fairly smooth for a hydraulic rower but not as good as the Kettler Kadett in the same category. The rowing position is quite comfortable but if you're over 72" tall you make find the track a bit short and feel a bit cramped in the seat due to the design of the handles. It does also look dated when compared to other models in the same price range. 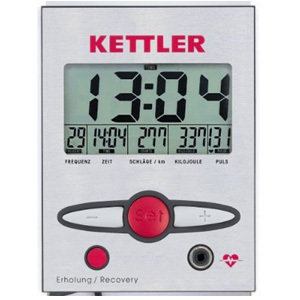 The monitor is the same as used on the Kettler Kadett and is easy to read. It displays exercise data such as distance rowed, time of session, accumulated strokes, calories, heart rate and speed. Using the large red button, you can set either time, stroke rate or distance as your workout target and the console will beep when you've reached it. You can plug an ear-clip (supplied with our model but check first) into the console to display your heart rate. Not everyone likes using a clip on their earlobes, so you may want to consider using a chest strap or wrist monitor to check your heart rate. As far as we know, this is one of the cheapest rowers that's measures your pulse. This is a big plus in our book as it gives you the option of heart rate training - an excellent way to improve cardiovascular fitness and lose weight. However, as we mentioned earlier, the resistance level may drop just as you're getting into your optimum training zone. The construction - well made and quite solid. 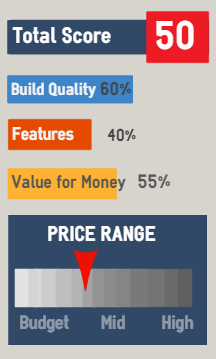 Good warranty for a budget model. Heart rate clip comes with the machine. The hydraulic resistance mechanism - will go soft after 10 - 15 minutes. Changing the resistance level is not as easy as it should be. Not too comfortable for taller users. 49" x 31" x 10"
3 Years on parts and electronics. If you want a full-motion rower, the Sunny RW5624 is worth a look. 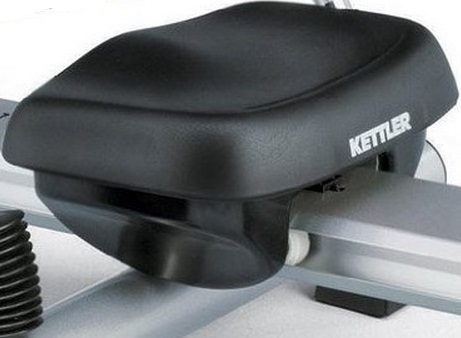 Or if your budget is limited you might consider the Stamina Air Rower or for a little extra you can get a better rower from Kettler, the Outrigger .